Description: Every volume in the Lovecraft Middle School series is fully illustrated and features an original lenticular portrait on the cover. Display them on bookshelves—and then watch the cover characters morph into monsters as you pass by! In Professor Gargoyle, we’re introduced to 11-year-old Robert Arthur and the strange world of Lovecraft Middle School. It’s a brand-new state-of-the-art facility—so why do so many creepy things keep happening? Why is the science teacher acting so strangely? And where are all the rats coming from? 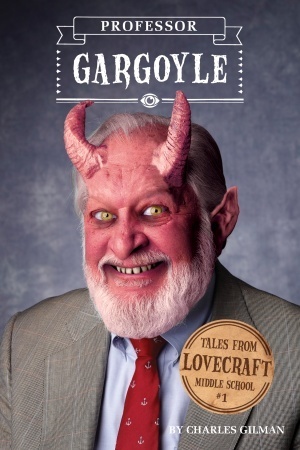 Description: This second novel in the Tales from Lovecraft Middle School series begins right where Professor Gargoyle ended. 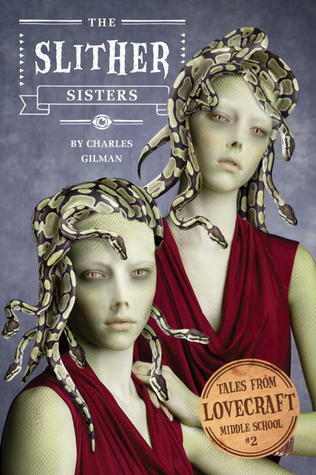 Seventh-grader Robert Arthur has discovered that two of his classmates are actually sinister snake-women in disguise. Even worse, his new middle school is full of “gates” to a terrifying alternate dimension – a haunted mansion full of strange spirits and monstrous beasts. For Robert to protect his teachers and classmates, he'll need to return to this haunted dimension with his best friends Glenn and Karina. Can they uncover the secrets of Lovecraft Middle School before it's too late? "But I can't win," Robert insisted. "I'm not a leader." "If my brother learns I'm helping you, he'll rip my head off," she said. "And that's not what your language arts teachers call hyperbole.